Australian police confirmed they would launch an investigation into the ‘Politically Incorrect’ theme party organized at Charles Sturt University after the pictures posted online resulted in many people reporting the event as inappropriate. 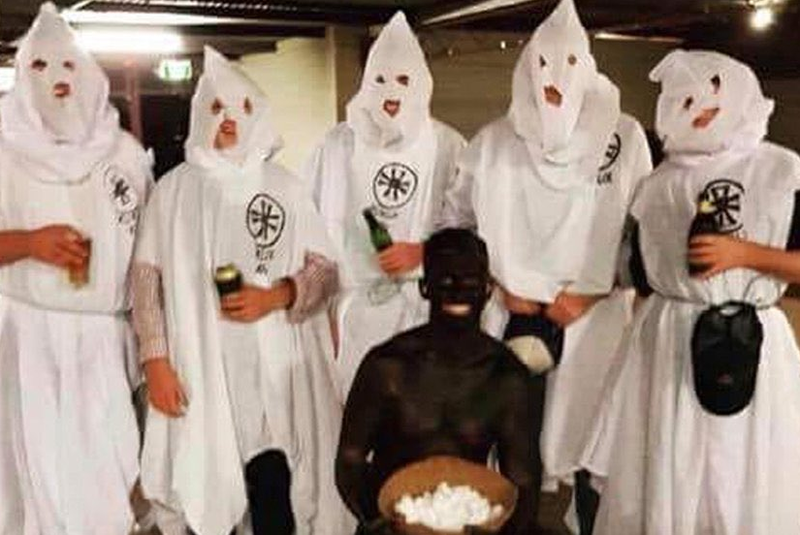 Several men had decided to dress up as members of the Klu Klux Klan together with a ‘blackfaced’ man who was ‘picking cotton’. The individuals believed to be students at CSU's Wagga campus, all attended the "politically incorrect" party at the Black Swan Hotel. The Instagram post of them posting as members of the Ku Klux Klan complete with white hoods quickly went viral. Underneath, they had written the caption: "Very very politically incorrect. Cotton prices are unreal though so it's a great time to be pickin'." The many complaints have led police to open an investigation. The Black Swan Hotel, where the event was held, said it would cooperate fully: "We were unaware of this behavior happening out the back of the pub, however, we have immediately dealt with this. We have zero tolerance and do not condone this sort of behavior." A second picture showing three students as holocaust prisoners with a Nazi guard standing behind them has since been deleted. Charles Sturt University also condemned the event: "Charles Sturt University will not tolerate this offensive behavior. It does not reflect our university values and we strongly condemn these actions." "CSU is currently investigating these incidents and social media posts."